At Hotel Gloria Palace, owned by Gloria N OOD, UIC 121157803, address: Sofia 1000, 20 Maria Luisa Blvd., tel. (+359 2) 980 78 95, e-mail: hotel@gloriapalacehotel.bg, our duty is to protect the privacy of your personal data, in line with the policy of openness regarding the manner of collection, use and disclose of personal data. The purpose of this Privacy Statement is to inform you of Gloria Palace Hotel’s practices for the collection, use and disclosure of personal data that may be provided by accessing or using our website or hotel services or related products, and collected by us for the previous purposes. By staying at our hotel and using the products and services we offer, or by visiting our website, you give your consent to the collection, use and disclosure of your personal data (as defined below) and the applicable terms and conditions. This Privacy Statement contains information on how to contact us if you have any questions, want corrections to be made, or personal information of yours that is available to Gloria Palace Hotel deleted. For the purposes of this Privacy Statement, “personal data” means any personalized information of any specific person. When using the hotel’s website and other reservation channels (sites), information is collected automatically, as part of it may be personal data. This includes data such as personal data, language settings, IP address, location, device settings, device operating system, registers information, usage time, requested URL address, status report, user agent (browser version information), operating system, result (browsing or booking), browsing history, user’s Booking ID, and type of viewing data. Digital video recordings. These are the data collected through the CCTV systems used by Gloria Palace Hotel in all public areas of our hotel (lobby, reception, winter garden, corridors, staircases, entrances) for security, surveillance, control and protection of public order. We may use your contact details to invite you by e-mail to write your review as a guest after your stay. This can help other travelers choose the accommodation that is best suited to them. 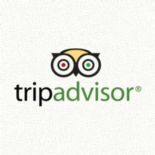 If you send a review of your stay as a guest, it can be posted for the public on our website. There may be other cases when we will contact you by e-mail, mail, telephone or text message, depending on the contact details you share with us, we may need to respond to or process requests you have made. Providing assistance in investigating breach of law; as well as taking action in the event of extraordinary circumstances that endanger the life, health or safety of a person. Except with your explicit consent, we will not sell, license, trade or rent your personal information with others. We disclose personal information to third parties only in the cases provided by law as our express obligation, or upon an express written order, request, subpoena, court order or other act of a competent state authority under which this obligation is imputed to us. We collect personal information about you when we have a statutory obligation to do so or when you voluntarily provide it to us. Normally, we want your consent for the use or disclosure of voluntarily provided personal information at the time of collection. Under certain circumstances, consent may be sought after the information is collected but before it is actually used (for example, when we want to use the information for a purpose that could not previously be identified). We declare that the personal data collected as specified above will be used only for legitimate purposes. You may withdraw your consent given in respect to voluntarily provided personal data at any time, subject to the relevant legal and contractual limitations, and upon prior notice within a reasonable period of time. If you wish to withdraw your consent given in respect to voluntarily provided personal data, this may be done at any time by contacting us at hotel@gloriapalacehotel.bg. We will notify you of the consequences from withdrawing your consent. We make every effort to ensure that your personal data is protected from loss and / or unauthorized access. This protection applies to information stored electronically and on paper. The access to your personal information is limited to authorized employees. In addition, we use generally accepted information security techniques such as firewalls, access control procedures, and cryptography to protect personal information against loss and / or unauthorized access. We keep your personal data as long as it is necessary to achieve the purpose for which it has been collected and within the statutory timeframe as your consent remains in effect also after termination of the relationship between us.